From coconut cinnamon bun smoothies to pumpkin sunbutter chocolate cups, healthy sweets are kind of my obsession. I also love how you can control the flavor and sweetness – something that I appreciate about homemade food in general. So, when matcha LOVE asked me to whip something up with their culinary matcha, you know I couldn’t resist. The combination of culinary matcha and mango is awesome. It offers just the right mix of sweetness and earthiness. Plus, matcha is super energizing – I’ll call that a win. Prepare a double boiler by placing a stainless steel bowl on a pot of water. The bowl should be big enough to sit on top of the pot, without touching the water. 1. Place the chocolate in the bowl. If you’d like a smoother consistency, add coconut oil. 2. Bring the water to a simmer, over medium heat. Continuously mix the chocolate to help it melt. Make sure it doesn’t get too hot! 3. Add 1 tablespoon of culinary matcha powder. Stir until it evenly dissolves. 4. Transfer the melted chocolate to a parchment or foil-lined baking sheet. Use a spatula to spread it out into a thin layer. 5. 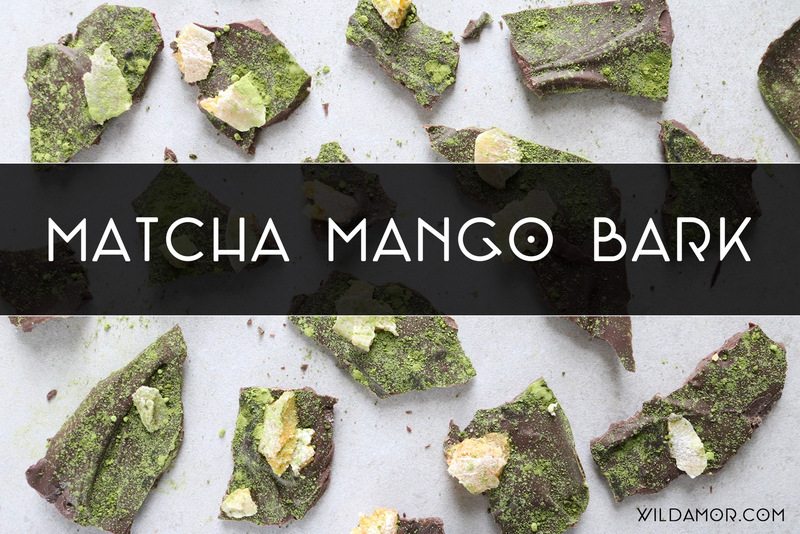 Sprinkle the chopped dried mango and another tablespoon (or so) of matcha powder. 6. Let cool and harden. Break into pieces and enjoy. 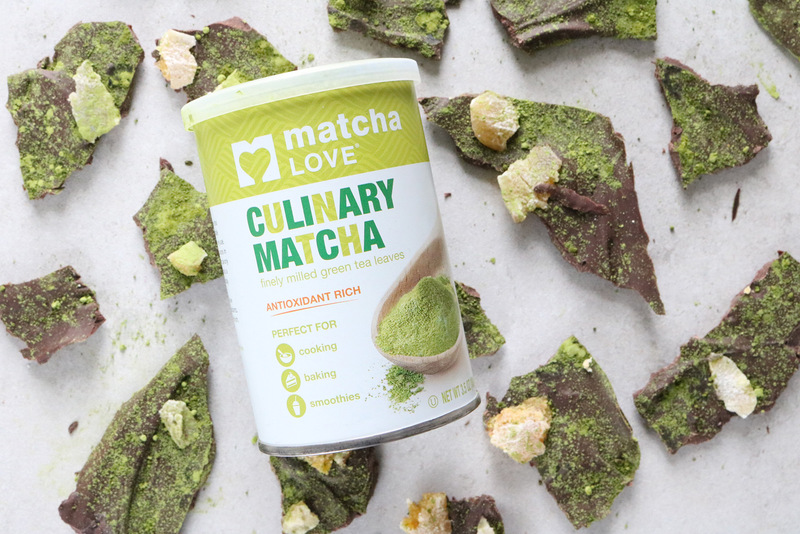 FTC Disclaimer: matcha LOVE culinary matcha (100g) were provided by matcha LOVE and RKPR Public Relations. All thoughts and opinions are my own; I only collaborate with and feature companies that I truly support. Thank you, matcha LOVE!